Novelist John Collings joins me today. We’re chatting about his new young adult literary fiction work, Tag: A Cautionary Tale. 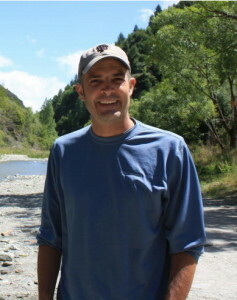 John Collings has written two critically acclaimed novels, Hell and God and Nuns with Rulers, and Tag: A Cautionary Tale. He is also a creative writing teacher at Korea International School, and spends his free time traveling around the world to learn from the people he meets. Welcome, John. Please tell us about your current release. 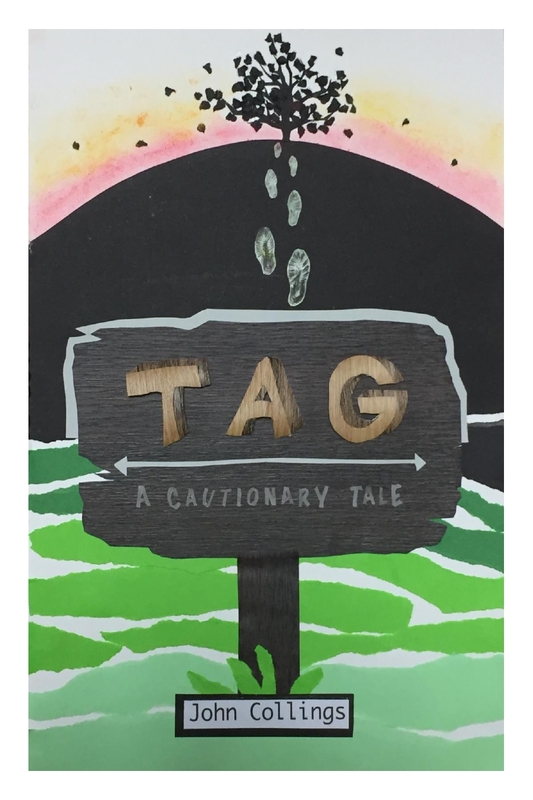 Tag: A Cautionary Tale is a fictionalized history of the playground game, Tag, and all the games that were spawned from its inception. The boys who created the game enjoy it on a daily basis until things start to fall apart for them. Soon factions are formed and neither side listens to the other side as they both inadvertently work towards the destruction of the field they both love. The story plays around with how destructive strong opposing ideologies can be, and if we cannot spend the time to realize it, we will be sucked down in that destruction. I wrote it before the recent presidential election in the United States, and it was released shortly before the ugliness of the election process started to play out later in 2016. Since then, I have had a lot of conversations with people who have read the book and can see the same thing that played out with the boys in my story also play out in American politics. The conversations have led me to believe that this is a timely piece that really reflects the frustrations that many Americans are experiencing in the current political environment. The idea of this story came while I was teaching Alex Kotlowitz’s There are no Children Here. It the story of two brothers growing up in the projects of Chicago during the 1980s. One of the parts of the story that affected me the most was a short episode where these two kids could not even enjoy a game of tag because of the violence of their neighborhood. The simple childhood game is something I believe is essential to the development of any child. The game teaches us so much about the world we live in and as it gets more complicated with the way we grow, it continues to help with this development and understanding. I had toyed around with idea for a few years but never could tell the story the way I wanted to. There was something missing and I couldn’t quite figure out what it was. It took a camping trip to the Redwood Forrest in Northern California with my wife. She had gone to bed earlier and I was watching a big oak log burn down when the characters of Little Lizzy and the old curmudgeon popped into my head. I hadn’t even thought about the story for a couple of months, but these two were the missing elements I was looking for. Afterwards, the story just poured out of me, and four months later I had the rough draft. Back then, roads didn’t exist. Big buildings didn’t block out the blue sky. Even the cars didn’t hurry off to the places where cars hurry off to. Tall trees circled the expanse of the field. Of course, a few stray trees here and there offered their shade to those in need on sunny days, and shelter to those in need on rainy days. Arbella Hill stood over there, the steep sides of it also covered with trees. On the top of it stood the mightiest of all trees, a proud oak. And, of course, this rock I’m sitting on sat right here. Back in the day, we didn’t call the hill Arbella; that name came later. We only called the hill, “The Hill”, just as we called the rock, “The Rock” and each individual tree, a tree. We didn’t spend a lot of time naming things back in those days. We had more important things to do. We had a big field. I couldn’t tell you where everybody came from, but we came, none the less. We all wandered out of the woods and across the horizon, drawn by this majestic mound. It stood above everything else on the plain, rivaled by no other formation in its beauty. On it, assorted fruit trees and tall pines pointed their peaks towards the heavens, wondrous wildflowers blossomed, rearing their heads to the world, animals scurried under the protection of the hill, peeking their happy heads out whenever they saw fit. If they ever noticed us looking at them, they would dart back into the shadows. They didn’t know they had nothing to worry about because we cared about them as much as they cared about us. We had many more exciting things to do, besides. We ran. Not to or from a specific place—doing something like that didn’t interest us much. We ran more for the why, rather than the where. What was the why, you ask? Well, why not? But just imagine a huge field stretched out before you, soft and supple grass growing just tall enough to tickle your toes as the drops of dew danced upon your bare feet, the subtle sun warming you as you wind your way through the maze of dandelions. And if ever its heat gets too hot, the shade of a nearby tree is there to comfort you. If you’d rather continue on your run, the wind was there to blow a refreshing breeze your way. As far as we were concerned, the field had been created just for our pleasure, and we took every opportunity to partake in that gift. As was the case with the hill, the rock, and the trees, we didn’t bother with each other’s names. We didn’t even bother to acknowledge each other’s presence. We weren’t very social at that time—running occupied most of our time. I have been finishing up the first novel for a collection of stories I have been working on that revolves around Envotuer’s Traveling Carnival, an ancient and magical circus. The owners of the place interact with certain customers that force them to involve themselves with the carnival and the real mission of the place. All of the stories stand on their own, but the characters of each smaller piece intertwine to create a bigger picture, and in one story, one of the people might be the protagonist, but turn up as a minor character in another story. It has elements of H.P. Lovecraft’s writing, and a couple of the characters have already appeared in other stories that have been published. I am also working on a story that reflects the students I work with in Korea. It is the story of a Korean high school student that feels the pressure of the academic world the country pressures the young adults with. She attends an international school and goes to hagwons, additional intense study programs in Seoul, at night. Through a series of bad luck experiences, she gets kicked out of her hagwon, and instead of telling her tiger mom about it, she decides to open her own hagwon that teaches its students how to have fun. I thought it would have been when I held my first book, Hell and God and Nuns with Rulers in my hands, but that moment was a little too surreal to make it feel like I could really call myself a writer. It was when I got one of my first reviews for the same book in which the reviewer talked about one of my minor characters and had some greater insight into the character than what I had planned for her. The reviewer was able to talk about the way that character was in love with the main character. I didn’t think I had written it that way, but after reading the review I could see what she was talking about. It just showed me that any piece of art that is received by the public takes on a life of its own, and it was fun to sit back and say that I created that piece and now people are making their own connections with it. I really felt like a writer at that exact moment. I teach British Literature, Creative Writing, and Film as Literature at an international school in Korea. It keeps me pretty busy, but I enjoy the interaction with my students, and the way they challenge my thinking. It also give me the opportunity to get another perspective on the world which I believe is probably the most important thing somebody can do in this world. With all of this going on in my life, I am able to find an hour every day to sit down and write. It is amazing how much can be written by just dedicating this small amount of time to do it. I escape from the world for a little bit, and at the same time, allows me feel like I am giving something back to the world. I have always been a great fan of pop music. For many years, before I became a teacher, I was a wedding disc jockey and gained an encyclopedic knowledge of all kinds of music. I use this knowledge to create a soundtrack to what I am writing. Before I sit down to bang away on the computer, I try to find the perfect album that will help create the mood of what it is I am writing about that day. It is also how I keep track of the hour that I write for each day. I figure that on average an album is one hour long. Some days I write for more than an hour, and some days, I write for a little less, but in the end it averages out to be an hour. I feel that the music helps me create the mood with that day’s writing. Even though the reader can never hear what I hear while I am creating the piece, I feel that it is still present in the story being told. I was always fascinated by the newspaper comics while I was growing up. I loved the stories that they used to tell, and would do anything to make sure I was able to read the daily installments of The Far Side, Bloom County, and Calvin and Hobbes. I used to play around with creating my own characters and writing my own story lines while I was supposed to be learning math in school. There is still a collection of notebooks in my storage unit with a couple of pages of math notes in the front and a daily collection of comics written in the back of it. They aren’t very good but I enjoyed the challenge of coming up with a new joke every day. And it is also interesting to see how it helped shape the way I think today. It has taken me many years to find balance in my life, but I am glad that I have. I would recommend that everybody else works on doing the same thing. It is important for you to pick up a book and read because you learn something new every time you do that, but it is also important to put that book down and go out and experience something fun and engaging everyday as well. You need to laugh from your heart as well as use that organ to shed some tears. You need to work so your voice can be heard in this busy world, but you also need to play so you can discover the true meaning of that voice. Just make sure you do not do too much of one thing because then you become a two-dimensional character, and those characters are always forgettable. Don’t be forgettable. Thanks for being here today, John.